Apparently sources have said the launch of Microsoft’s wearable fitness band is imminent, and the device will be stocked at retailers in due time for the Christmas holidays. Although Microsoft’s fitness band is expected to have some Smartwatch features, the primary focus is on fitness activities. Apparently the new fitness band will be able to track steps, calories burned, your heart rate and other key health information. This will be all thanks to the onboard sensors that are embedded in the device. It has been rumoured that Microsoft has been testing the ability to monitor heart rate throughout the night and the day, and is expected to ship a final device, which will have around two days of battery life. 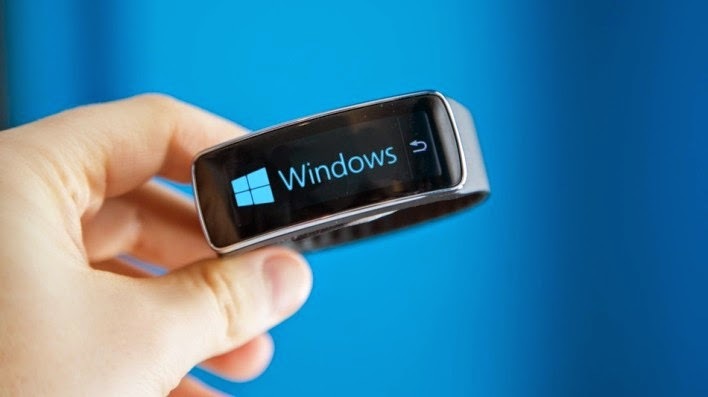 Microsoft’s new fitness band will support Windows Phone, iOS and Android systems. This is a great move from Microsoft as it will enable them to reach a wide audience. It is highly unlikely though, that Microsoft will brand the new wearable fitness band under the Surface or Lumia names, but who knows what they will call it? The look of the device is anybody’s guess, but images that came to light earlier this year of a fitness band in Microsoft patent filings, suggested they were working on a 1.5-inch display with removable wrist bands. But again, we will have to wait and see. As always, if you would like to leave a sensible comment, then please do so in the comments section below.